Bear and his siblings came to us from a rescue foster home in Louisiana. He is a young puppy so will require someone with a part time or stay at home schedule to meet his socialization and house training needs. 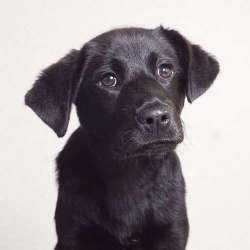 If you are interested in meeting Bear please fill out our online application at http://www.saveadog.org/applytoadopt.asp and private appointments start Tuesday afternoon. 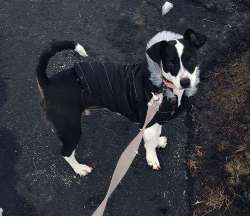 Clyde is a Jack Russell mix who will be turning 2 years old in May. He is very energetic, sweet and loving pup! He likes to have company at home with him. He loves long walks. Clyde loves the park. He is great with children, His owner has three boys ages 10, 5 and a 3 month old who he loves very much! He does need to live in home where there is a fenced in backyard. He also loves playing in the snow and dog Starbucks treats! Please apply online as he's not at the shelter yet. Clyde will be at our meet & greet on Sat, March 30th. Coda came to us from Mississippi with her pals Delta and Madame. She is a sweet and spunky little Chihuahua mix who will need a home with someone that works part time or has a stay at home schedule to meet her socialization and training needs. 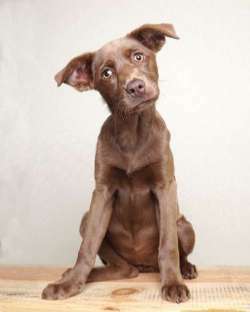 If you are interested in meeting Coda, please fill out an online application at www.saveadog.org/applytoadopt.asp. Available after 4/5/19. Cooper and his siblings came to us from a rescue foster home in Louisiana. He is a young puppy so will require someone with a part time or stay at home schedule to meet his socialization and house training needs. 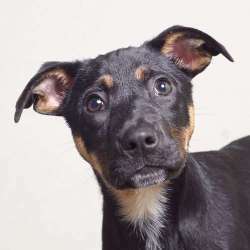 If you are interested in meeting Cooper please fill out our online application at http://www.saveadog.org/applytoadopt.asp and private appointments start Tuesday afternoon. Courtney and her siblings came to us from a rescue foster home in Louisiana. She is a young puppy so will require someone with a part time or stay at home schedule to meet her socialization and house training needs. If you are interested in meeting Courtney please fill out our online application at http://www.saveadog.org/applytoadopt.asp and private appointments start Tuesday afternoon. 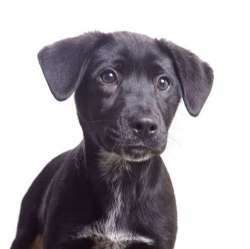 Delta is a 4 month old terrier mix that came to us from a shelter in Mississippi. She is a loveable pup that loves to play! 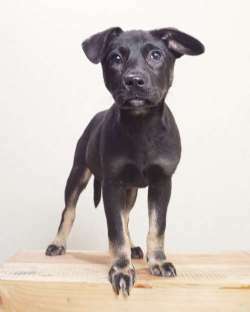 She is a puppy so would need someone with a part time or stay at home schedule to meet her training and socialization needs. If you are interested in meeting Delta please fill our online application. Duke and his siblings came to us from a shelter in Louisiana. He is a young puppy so will require someone with a part time or stay at home schedule to meet his socialization and house training needs. If you are interested in meeting Duke please fill out our online application at http://www.saveadog.org/applytoadopt.asp and private appointments start Tuesday afternoon. Grace and her siblings came to us from a rescue foster home in Louisiana. She is a young puppy so will require someone with a part time or stay at home schedule to meet her socialization and house training needs. If you are interested in meeting Grace please fill out our online application at http://www.saveadog.org/applytoadopt.asp and private appointments start Tuesday afternoon. Jeff and his siblings came to us from a rescue foster home in Louisiana. He is a young puppy so will require someone with a part time or stay at home schedule to meet his socialization and house training needs. 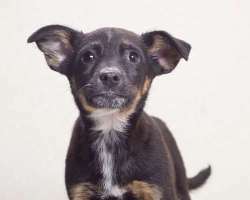 If you are interested in meeting Jeff please fill out our online application at http://www.saveadog.org/applytoadopt.asp and private appointments start Tuesday afternoon. 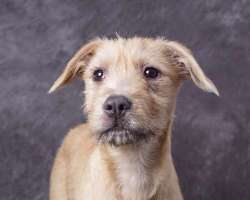 Madame is a 4 month old terrier mix that came to us from a shelter in Mississippi. She is a loveable pup that loves to play! 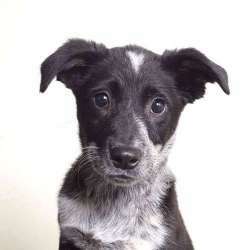 She is a puppy so would need someone with a part time or stay at home schedule to meet her training and socialization needs. If you are interested in meeting Madame please fill our online application. Max and his siblings came to us from a rescue foster home in Louisiana. He is a young puppy so will require someone with a part time or stay at home schedule to meet his socialization and house training needs. If you are interested in meeting Max please fill out our online application at http://www.saveadog.org/applytoadopt.asp and private appointments start Tuesday afternoon. Misha (formerly Liza) is a sweet, shy 22 lb. Corgi mix pup who just turned 8 months old. 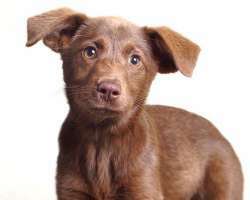 Misha is a very sweet, affectionate pup who loves to cuddle and be with her people. She loves to go for walks and is very dog friendly. She is somewhat shy upon meeting new people but warms up quickly. She can be a little fearful of loud, sudden noises. She sleeps all night in the crate, may whine a little when first going in but settles down quickly. She is housebroken and house trained, she enjoys the company of the other dog in the house and amuses herself with squeaky toys. 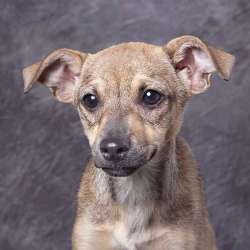 Misha is a sweet little pup who is looking for a family to give her lots of love. Misha will not be at our meet & greet on Thursday, April 4th. .
Mr. Parker says, "I need a special home. I might not be able to walk, but don’t let that fool you, I can get around. My foster moms had fun today chasing me around the house. I get around without my wheels and I am fast. I stole a sock, It was fun! I can jump up and down with excitement when you come home. I love being out in the yard. I’m like any other dog, love sniffing and checking out new things. I even like playing ball. Love to cuddle and snuggle up next to you, maybe you will let me sleep with you. I wear a diaper, but can hold it most times until we get out. 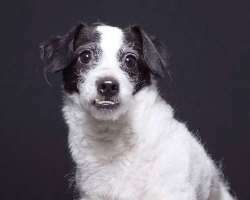 I would love a new home all for myself, my foster home has 6 dogs that are very nice, but I prefer to be an only child. I have a big ego and want all the love for myself. So, please see me as abled, because I am! Hopefully, over time as I heal with love I might walk again! I'm only 4 years old so I am young and full of spirit! Apply at http://www.saveadog.org/applytoadopt.asp Mr. Parker will not be at our meet & greet on Thursday, April 4th. Ninna and her siblings came to us from a rescue foster home in Louisiana. She is a young puppy so will require someone with a part time or stay at home schedule to meet her socialization and house training needs. 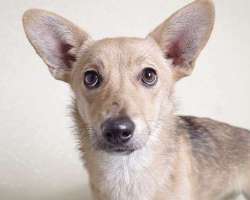 If you are interested in meeting Ninna please fill out our online application at http://www.saveadog.org/applytoadopt.asp and private appointments start Tuesday afternoon. This two year old sweet heart of a dog came from a southern home where the neighbors were making threats to shoot the dogs. Pup pup slept with the six year old every night so she looks sad in the picture as she misses her little girl. She was raised with dogs, cats, kids, horses, donkeys, and chickens. Shiner is Remi and Semi's sibling. He's about 15-16 weeks old now. He has a gorgeous personality and is somewhat laid back for a puppy. 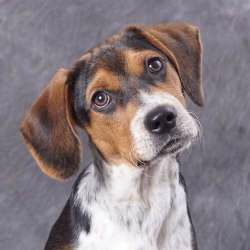 He is a young pup so will need someone one with a part time or stay at home schedule to meet his socialization and training needs. 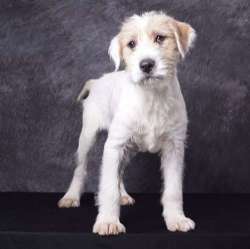 If you are interested in meeting him please fill out an online application at www.saveadog.org/applytoadopt.asp. Available 4/2/19. 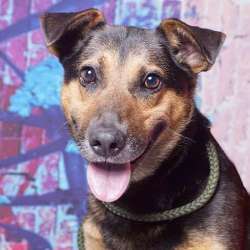 Zack is a very friendly 4 year old Male Shepherd mix who weighs 70 lbs. He is very outgoing and loves everyone. His foster parents say he's the perfect dog. He is great with other dogs, walks nicely on leash and is even friendly meeting dogs on leash on the walk. 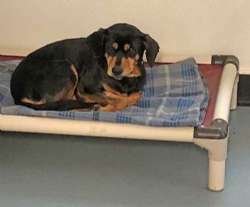 At the shelter he would even climb into another dog's kennel to cuddle. He's nice even when the tiny chi's are not very nice to him! He would do best in a home without cats. He He knows “sit” and walks on the right side as if he's been walked before. He rides nicely in the car. He's very quiet in his crate and in the home. Video: https://www.youtube.com/watch?v=TgAg-pHE0ZM&feature=youtu.be Zach will not be at our meet & greet on Thursday, April 11th, but will be at our Saturday meet & greet on April 13th.